We created Startup Extreme as an unique arena to maximize story-telling and networking. Meet Argentum - Our main partner! We are very lucky to have Argentum as our main partner at Startup Extreme. Argentum is a leading private equity investor in Northern Europe managing investments on behalf of the Norwegian government and institutional investors. 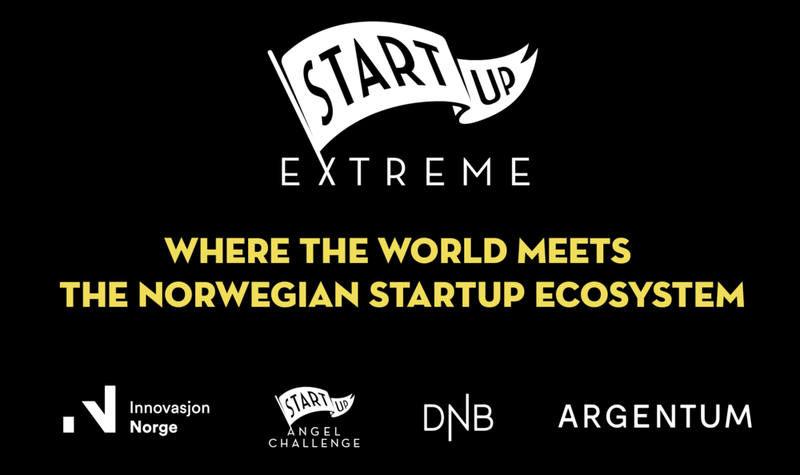 At Startup Extreme Northzone VC-fund is represented by Henrik Grim. Few know that Grim prior to Northzone used to work with business performance for the mobile games giant and unicorn King!. We asked him what he learned during his time and what are the common mistakes founders do. Chaos is part of any startup but specially, part of any scaleup. How to navigate chaos when your team is growing? With bigger teams, founders cannot hope to talk with every employee and questions such as “How do we make sure everyone is busy and well informed?” arise. Hampus Jakobsson, Venture Partner at Blueyard Capital, will talk about how scaling a team can pose a threat to the startup culture and how founders can manage chaos defining new organization systems. Andrew Steele and Reed Snyder are part of Activant Capital venture firm in New York. They are exploring the European startup scene, and will be speakers at Startup Extreme 12-14th of June. We asked about the main tech trends for startups in 2018. Here’s their take on the key issues founders face when transitioning to growth stages and expanding internationally. How mission statement saved the unicorn! David Helgason co-founded Unity Technologies in 2004 together with Nicholas Francis and Joachim Ante in Denmark. They failed with their first game – GooBall, but in the process realized how conservative the game development industry was. They decided to do something about it. Team #StartupExtreme went on a road trip to plan the event of the year! Ari Helgason is one of the main speakers at Startup Extreme this summer, 12-14th June 2018. He is a former entrepreneur with both an operating and investing background. He is part of Index Ventures where his investment focus is enterprise software, SaaS and fintech across all stages. Great startup kick in the Nordics, but what's next? Ralph Echemendia is a world-renowned cyber security expert, known as “The Ethical Hacker”. He’s coming to Startup Extreme 12-14th of June, and will talk about how Nordics can take a stand and become the next Silicon Valley or even Silicon Fjord. Vio is coming to Startup Extreme! They have won several startup awards, been in the game for two years and already have 8 employees! Now they want to scale and give more people a great reading experience. Meet CEO Ole Jørgen Seeland in Staaker, who is is producing Staakers first batch right now! Staaker has created an autonomous follow drone that is ready to go global. With the touch of a button, the drone follows and films you automagically!